Our range of products include horizontal multistage pumps, vertical multistage pumps, vertical multistage submersible pumps and vertical multistage inline pumps. In order to fulfill the ever changing demands of our clients, we have been engaged in offering a quality range of Horizontal Multistage Pumps. These pumps are manufactured using excellent quality material so that these are in tandem with international quality standards. Available in various specifications, these products are used in construction industries. 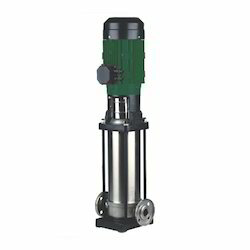 With our expertise in this domain, we are able to manufacture, supply and export qualitative Vertical Multistage Pumps. These pumps are designed under the close supervision of our experienced professionals using optimum grade material. The material that is used for manufacturing is sourced from trustworthy and reliable vendors of the market with the help of our procuring agents. 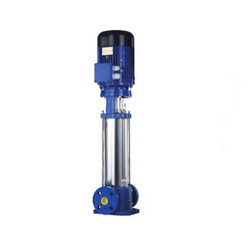 Owing to our vast experience, we have been successful in catering to the requirements of our esteemed clients by offering quality Vertical Multistage Submersible Pumps. 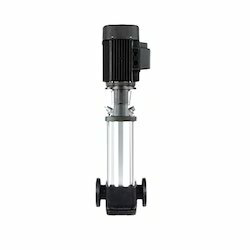 The offered pumps are manufactured employing latest technology and high quality material keeping in mind the variegated requirements of our esteemed customers. 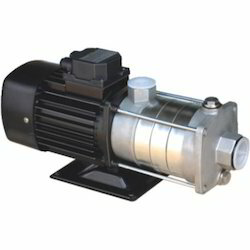 We offer these pumps at reasonable rates in various specifications. 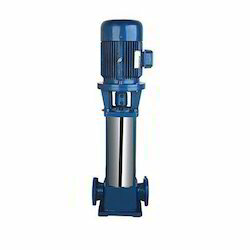 We are a prominent manufacturer, supplier and exporter of an extensive range of superior quality Vertical Multistage Pumps. All these pumps are available with mechanical seal arrangement against specific request. Besides, we assure that the pumps are timely delivered at clients’ doorsteps using easy transportation modes. Looking for Multistage Pumps ?